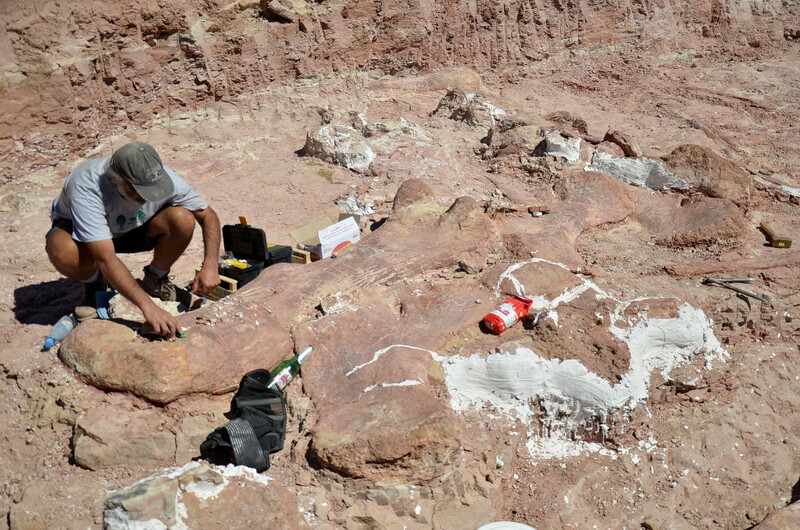 A farmer in Chubut, Argentina made an incredible dinosaur discovery about three years ago. While working out in his fields, he stumbled across some fossilized dinosaur remains. 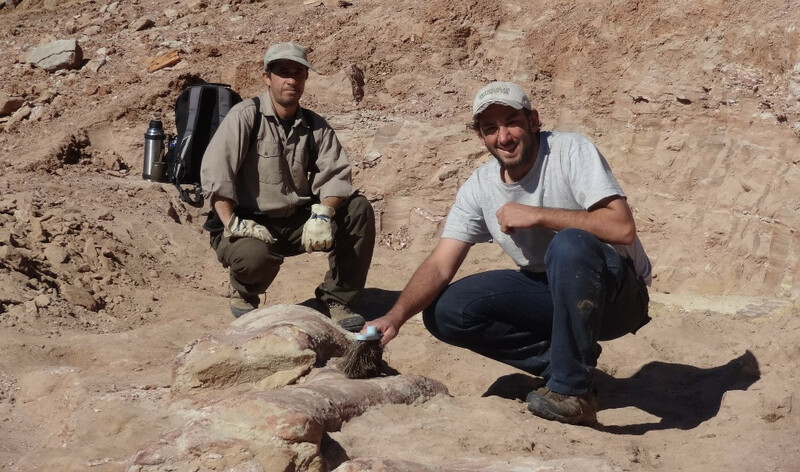 Paleontologists from the nearby Museum of Paleontology Egidio Feruglio excavated the area and found about 150 incredibly well-preserved bones from seven individuals of a species that is likely the largest to ever walk the Earth. The remains come from a newly-described species of titanosaur, which are large herbivorous sauropods. It lived in the late Mesozoic about 95 million years ago. 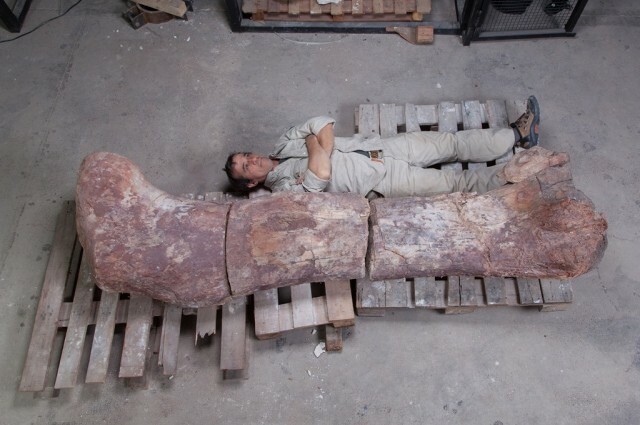 This behemoth will not have a name until the findings are published in a scientific journal, but the researchers have claimed they will choose a title that pays tribute to the region, the farmer, and the dinosaur’s incredible size. It is estimated to be an astonishing 40 meters (130 feet) long from head to tail and 20 meters (65 feet) tall. A creature this large would have likely weighed in at a hefty 77 tonnes (85 short tons), which is over eleven times more than Tyrannosaurs rex. Researchers are currently comparing this species to Argentinosaurus, which is currently regarded as the largest dinosaur ever. However, Argentinosaurus is believed to weigh about 7 tonnes (7.7 tons) less than this new species, and has likely been officially dethroned as the largest terrestrial animal ever. Understanding the true size of the dinosaurs is always open for some debate when there isn’t a complete skeleton. Assumptions must be made about the size and shape of missing bones, based on what they know about related species. However, there may be many more clues that have not yet been surfaced at the dig site. The researchers also found more than 60 teeth belonging to carnivorous species, who likely scavenged on the dead titanosaurs. Carballido claims that this opportunity came at a price, as the giant herbivores likely had incredibly thick skin that would have broken the carnivores’ teeth, though the teeth would have grown back. 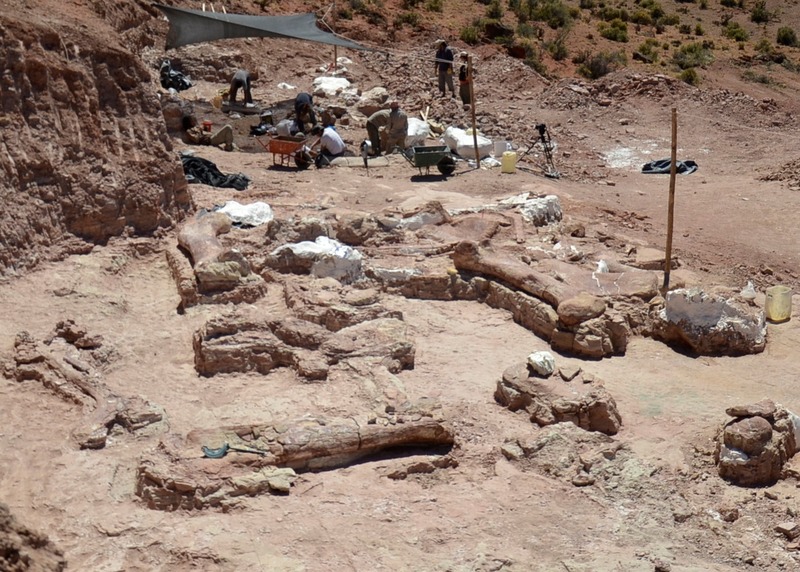 Other fossils from the site indicate that when this giant dinosaur lived, the local landscape was quite green and lush with flowers and trees. The titanosaurs likely gathered near a source of water, and may have died after getting caught in mud. The researchers note that the farmer’s family has been very accommodating during the excavation process as many pieces of large digging equipment have been brought in onto the land.